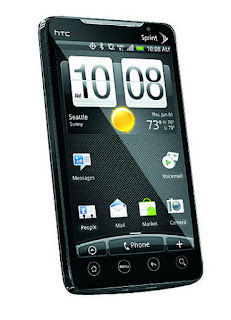 If you have an HTC EVO 4g on the Sprint Network it is very easy to change your IP when using it as a hot spot. More and more smart phones nowadays are coming with the the ability to turn into a hot spot for your wireless devices so you don't have to go into Starbucks, or worry if your hotel is going to have wireless Internet. This is awesome. Sprint makes you pay more to enable this feature of your phone but it is very valuable if you need to change your IP address on the go, to circumvent IP restrictions on certain websites. On the HTC you can turn on and off 4g wireless. This allows you to conserve battery if you don't need to be going blazing fast all of the time. There is a trick to changing your IP. Every time that you turn on and off your 4g, you are assigned a different IP address. If you do this before you turn on your wireless hot spot, you change your IP address just like that. I love this feature, and I have even used it when increasing views on my own videos via YouTube and other video sites. This is just one example of the luxury of being able to change your IP on the fly. I wouldn't do anything illegal, but breaking the IP rules is fun. Happy Hacking!